Welcome to the Tattoo Sangha. I am a Tattoo Artist and Reiki Master based out of Kelowna B.C, Canada. 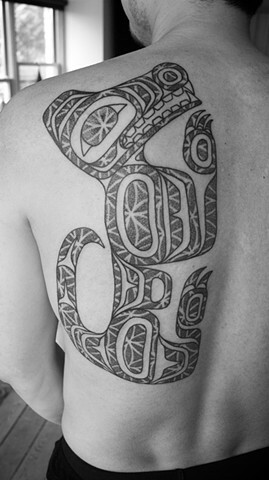 Although I have worked in many styles, my main area of interest in tattooing is tribal, dot work and black work tattoos. I have a strong passion for the sacred aspects of tattooing from around the world. and that takes time. Thanks in advance for the patience.